Periodontitis, or “gum disease,” is a chronic inflammatory disease that if left untreated can lead to tooth loss and other health problems. Typically the disease is painless and most patients are unaware that they have an issue until they are examined by a dentist. The main cause of periodontitis is bacteria, but other factors also affect the health of your gums and can increase the likelihood of you developing periodontitis. These include but are not limited to: genetic predisposition (does gum disease run in your family? ), tobacco consumption, several systemic diseases, obesity and malnutrition, and stress. If you have any of these risk factors, your dentist will discuss with you the impact they may have on your periodontal health. Gums become red and swollen from bacteria in the plaque retained at your gum line. If plaque and calculus is removed at this stage and oral hygiene is improved, this inflammation is reversible. Without regular visits to the dentist (typically every 6 months) for professional cleans and good at home oral hygiene, this early form of periodontal disease can progress to an advanced stage and cause irreversible bone loss. Continual inflammation results in progressive damage to the gums and underlying bone supporting your teeth. The loss of gum and bone tissue is irreversible as this tissue does not grow back. It is of the utmost importance that you work with your dentist and, likely, a specialist periodontist to treat advanced periodontitis and prevent further deterioration of the bone and gums. How will Dr. Weiner determine if I have periodontitis? How loose are your teeth? How much bone loss has there been? Have your gums receded? If so, how much? How do I treat my periodontitis? Treatment of periodontitis typically begins with a “deep cleaning,” called scaling and root planning, to remove plaque and tartar deposits beneath the gum line. The roots of the teeth may also be planed to smooth the root surface, allowing the affected gum tissue to heal and reattach to the root surface. Despite what you may have heard, scaling and root planning is painless! 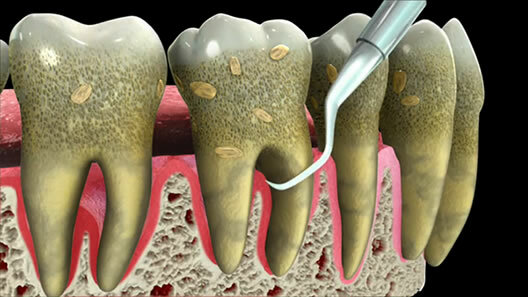 This treatment is completed with the use of local anesthetic in affected areas. Typically, when full mouth scaling and root planning is necessary, it is scheduled in two, one and a half hour appointments. Following this procedure, your at home oral hygiene is of key importance to helping your body heal and your pockets shrink. Six weeks after scaling and root planning, a re-evaluation appointment is critical to determine how you responded to this treatment. If at this appointment it is determined that your gums are healthy, a long term periodontal maintenance program will be recommended, typically requiring you to come in for a cleaning every 3 months. If at the re-evaluation your gums still have not reached a healthy state, other treatment options will be discussed with you aimed to continue to improve your oral health and if you haven’t met with a periodontist already, you will be referred to a specialist in this field for further evaluation. Unfortunately, there is no cure for periodontitis. However, the goal of treatment is to stop the progression of gum disease and bone loss and get your mouth to a healthy state. To achieve this, you need to work in partnership with your dentist and periodontist, having excellent oral hygiene and attending regular periodontal maintenance appointments at intervals recommended by your healthcare professionals. 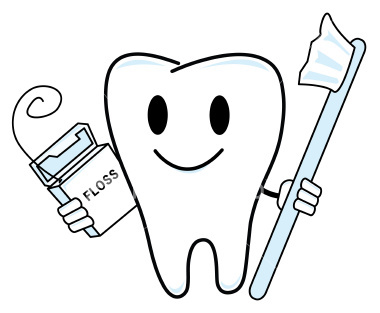 Quick Facts: Do I have periodontitis is designed to give you a brief overview of the classification and progression of the disease. We strongly encourage you to talk to Dr. Weiner and her team to determine your level of disease and the right treatment option for you.